Circuit breakers are safety devices, which ensures the safety of equipment and personnel from electric shocks and damages. They are self-acting and should safely interrupt the current flow on the event of faults. Circuit breakers are a cost-effective and efficient alternative to traditional circuit protection fuses. These devices are reusable and may help in saving a lot of money and downtime. 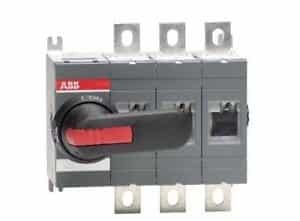 Today we come across various types of circuit breakers. Each one of them is meant for a specific application. This makes the selection of the circuit breaker for a specific application a very important task. This article illustrates the different types of low voltage circuit protection devices available in the market and their functions. 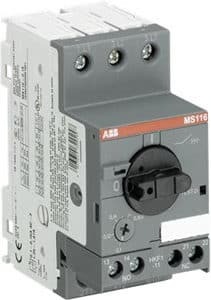 The miniature circuit breaker is a protection device that prevents damage to an equipment /circuit on the event of an overload or short circuit faults. During overload and short circuits excessive current flows to the load that may damage the equipment. 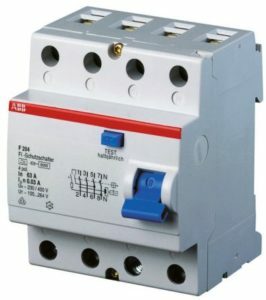 Miniature circuit breakers sense such excessive currents and disconnect the load from the source, thus preventing greater damages to the load. Higher the intensity of fault quicker shall be the MCB action. MCBs are most commonly used in the distribution board at home. MCBs can safely act during short circuits resulting in the current flow up to 15kA, depending on its short circuit breaking capacity. However, short-circuit breaking capacity breaking capacity of an MCB varies up to 15kA. Miniature circuit breakers can be used for the protection of lamps, home appliances, electronic devices and equipment with low short-circuit currents. MCBs are available in single, double, triple and four pole versions and continuous current rating from 0.5A up to 100A. MCCB – Moulded Case Circuit breakers. Motor protection circuit breaker sensing and operate the circuit breaker in the event of a fault. MCCBs are mostly used in power distribution and protection of industrial equipment such as motor starters, drives, pumps etc. MCCBs can have short-circuit current withstand capability up to 200kA (200,000A). It is available with a continuous current rating up to 2500A. MPCB (Motor Protection Circuit Breaker) is a short circuit and overload protection device dedicated used for the safe operation of motors. But unlike MCCBs and MCBs, the trip characteristics of an MPCB allows the high inrush current during the motor start without allowing overcurrent that may damage the motor winding. The short circuit capacity of MPCBs is very high compared to that of MCBs. Also, MPCBs are more compact than MCCB. The overcurrent set point of the MPCB can be adjusted as required. Moreover, MPCBs can protect the motor against phase loss or phase imbalance. MPCBs once tripped has to be manually reset after the clearance of fault. MPCBs are available only in three pole versions and has a maximum short-circuit current withstand capability of 100kA. MPCBs are a cost-effective and efficient solution to conventional motor starters, which use fuse-thermal overload relay combinations. Residual current circuit breakers are devices that protect against electric shock. It senses earth leakages and residual currents and ensures protection against electric shock. RCCBs do not have overload and short circuit protection features built-in. Hence, they are used in combination with MCBs. RCCB is very common and can be found inside the power distribution board in homes. RCCBs are available in four pole and two pole versions only. The leakage current sensing range differs as 30mA, 100mA and 300mA. Also, continuous current ratings of 25A, 40A, 63A, 80A, 100A and 125A are available. Since RCCBs do not protect against short circuits, it does not have short-circuit withstand rating. It is highly recommended to use a short circuit protection device such as MCB or MCCB in series with RCCB since any short circuit occurring inside the protection zone of RCCD can easily damage it. Residual current circuit breaker with overload (RCBO) is a combination of RCCB and MCB. It constitutes short circuit, overload and residual current protection features. It is designed to withstand short circuit currents and has arc chutes within. RCDs are stand-alone devices and do not require MCB backup as in the case of RCCB. It is used for the protection of devices like geysers, hair dryers etc. where the risk of electric shock and overload are more. RCBO is available in two pole and four pole versions. The leakage current sensing range of RCBO ranges as 10Ma, 30mA, 100mA and 300mA. Also, continuous current ratings of 25A, 40A, 63A, 80A, 100A and 125A are available. The short circuit breaking capacity breaking capacity of an RCBO varies up to 15kA. Isolators or disconnector are devices used to isolate a circuit or equipment from the power supply during maintenance, in order to ensure the safety of workman. Isolators are offload devices, meaning the current flow through the isolator should be zero before the operation. They do not offer any kind of protection to the circuit or device. Switch disconnectors are also a type of isolator/ disconnector. But it can be operated on load. Isolators and switch disconnectors are less often used in low voltage system. It can be commonly seen in substations and are used to isolate transformers from the service during maintenance. MCB (Miniature Circuit Breaker) – Short circuit and overload protection device, commonly used in the protection of household devices and devices with low short-circuit currents. 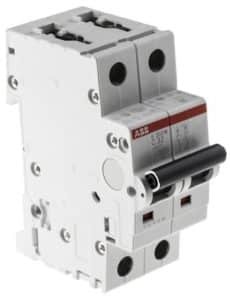 MCCB (Moulded Case Circuit Breaker) – Short circuit and overload protection device, commonly used in the protection in low voltage power distribution and industrial applications. MPCB (Motor Protection Circuit Breaker) – Short circuit, overload and phase loss protection device, used in motor starters. 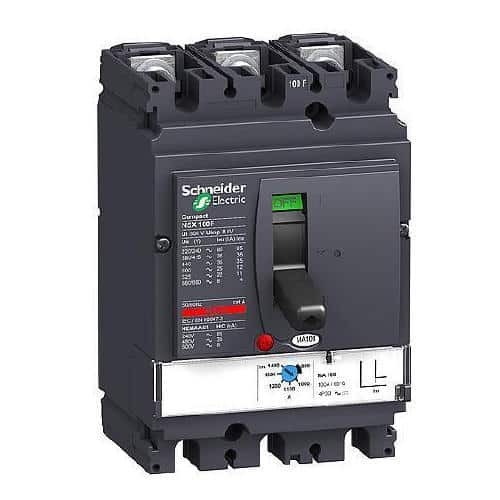 RCCB (Residual Current Circuit Breaker) – Provides protection again electric shock and residual currents. 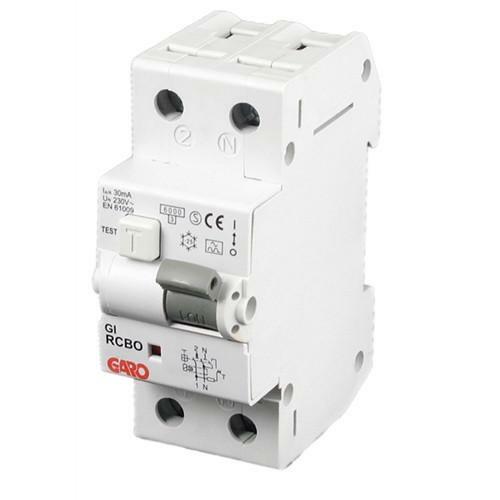 RCBO (Residual Current Circuit Breaker with Overload) – Provides protection again electric shock, residual currents, short circuit and overload, commonly used in the protection of household devices and devices with low short-circuit currents. Isolator/ Disconnectors – Safety device, operated during maintenance/ service.